There’s a difference between accepting who we are and being in radical self-love. Acceptance is coming to terms with what is. Radical self-love is a celebration of what is. Not just accepting ourselves as God made us, but finding joy in who we are in mind, body and spirit in the present moment. 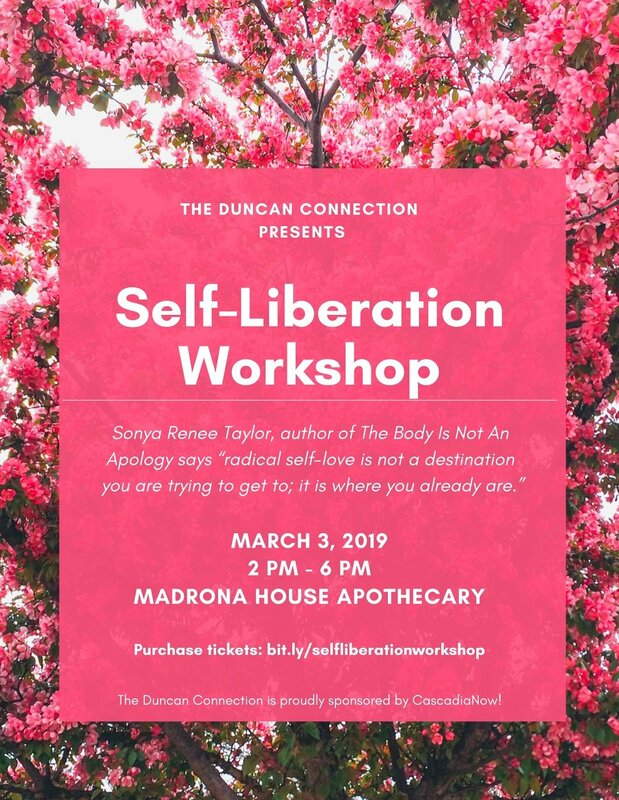 This workshop will explore how self-acceptance serves as a bridge to radical self-love. Through group discussion facilitated by yours truly, a bit of personal journaling and a smidge of breath and bodywork, you’ll begin to uncover the stories that have been holding you hostage. You’ll learn what questions to ask when faced with negative thought patterns about your body, your mind, and your spirit. These questions will help you begin the lifelong process of separating the false from the truth. Expect a couple of fun activities to keep the afternoon light and full of laughter as well as some soulful music and yoga guided by Denay Chatham. Come immerse yourself in a decadent, scented workshop designed to nudge you a little closer to who you’re meant to be. **This event is open to all individuals over the age of 13 seeking growth and development. Please join me live on Facebook on August 4th at 11am Pacific Standard Time to learn more about vulnerability, how and when you can lean into your own vulnerability, and how sharing your story just might save someone’s life. Learn simple tricks to help you find balance in your day to day life. It's so easy to get caught up in the hustle and bustle of daily responsibilities that we tend to forget just how necessary balance is to our happiness and growth. The tips and tricks you'll learn during this two hour workshop are easy to use and have been designed to fit right into your busy schedule! We need more fearless female leaders. Contrary to what some might think, there is room enough for each and every one of us to be successful. We don't need to compete with one another. We can all work together to achieve a common goal: empowering women. Group coaching sessions are a great way for us to support and learn from one another. We can share information and apply what we've learned to our own lives thereby diversifying and expanding our thinking, and furthering our individual success. It has become critical for us to not only stop apologizing for our strength, decisiveness and natural leadership abilities, but to embrace them in both the workplace and our personal lives. We will start this class with a 10 minute meditation followed by a slow and intentional flow. Use your muscles to slow down your pace and your breathing to calm your mind. I teach vinyasa flows that focus on nurturing who we are today, in this moment. I encourage my students to let go of shame, guilt and judgement of self and allow themselves to just be. Any chance we have to open ourselves up to more love, more life, we should grab onto with enthusiasm. My motto is "move through fear. Do your best. Leave the rest behind." What does it take to be independently healthy in mind, body and spirit? This is what I like to refer to as "The Trifecta". How can one be fulfilled in each of these areas without the need for validation from outside sources? What does it take to go from questioning myself, doubting myself and basing my happiness on the desires of others to being totally and completely grounded in self? Accepting of self? Loving of self? Dedicating this one to the soulful gents of 90s RnB. During this hour long meditative practice, we will combine restorative yin asanas with an energy building vinyasa flow. Want to stop apologizing for being yourself? Join us for this workshop to find out how. Dedicating this one to the beautiful queens of 90s RnB. Come zen out with some smooth beats and let's take our time stretching and lengthening out our bodies. Come prepared to test your patience and your flexibility. Space is limited, so secure your spot today! Having a plan is one thing, but what happens when we let perfectionism rule our lives? Seats are limited, so secure your spot today! Space is limited so secure your spot today!